​We had an amazing time. Everything was perfect. We both said all travel and transfers were seamless. Both hotels acknowledged our Anniversary-Moorea gave us a drink voucher and in Bora Bora had an anniversary desert in the room upon arrival. I did swim with the dolphins in Moorea, which was awesome. We had only 3 people in our session. We rented a dune buggy and toured Moorea one day. 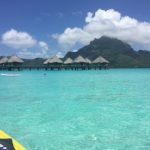 We really wouldn’t change anything, but would probably only go back to Bora Bora for the entire time -it was unbelievable! !! Thanks again for all your help, hope to be using your services again soon!! Both resorts were unbelievable. We can’t say enough great things about them. We loved the lush grounds of the Intercontinental Moorea, and the beach bungalow was perfect. Since we were doing the over water bungalow in Bora Bora, we decided on the beach bungalow, and I’m glad we did. Being able to have your own little beach to walk out to was the best possible scenario for Moorea, since it seemed more about the landscape than the water (even though the water was still beautiful). Le Meridien in Bora Bora was something out of a movie. I couldn’t even explain it to friends and family who asked. The grounds were huge and we loved how you could walk through the island to the shore, and take kayaks to smaller islands just to explore. The turtle center was really interesting as well, we even got to watch a release of a turtle into the ocean, which isn’t very common. The over water bungalow is the only way to stay there in my opinion. It was pure luxury and we found ourselves staying in the bungalow and snorkeling off of our porch just as much as we were away from the room! The ONLY downside for me was the ~$28 per person (~$54 total) for the boat ride to the mainland. We do appreciate the information on the itinerary beforehand though! However, that said, the resort was much more beautiful than the ones on the mainland, so if I were to visit again, I wouldn’t change a thing. We had one dinner on the mainland, then went one other time to visit the beach, have lunch, and buy groceries from the local market. If you do that, you don’t need to leave the resort at all! For our excursions, we did the Manoa Lagoon Tour and ATV Tour in Moorea. Recommend both, but the ATV Tour was by far the best one. On Bora Bora, we did the jet ski tour, which was also a great way to see the island from the ocean. A bit pricey, but definitely recommend. All of our guides were beyond great and the tours were very unique. One thing I wanted to point out is that the people (locals, resort staff, tour guides, etc.) were among the nicest I have ever encountered in the 33 countries I’ve visited. 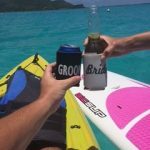 I actually referred a friend to you guys, Logan Johnson, who saw our pictures and heard our stories, and now he and his fiancee want to go for their honeymoon next year! 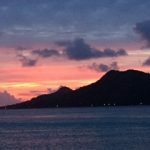 I can’t say enough amazing things about French Polynesia. I’ve attached a few photos to the email. Ashley and I hope we have another opportunity to visit, it was an unforgettable honeymoon! Thanks for everything!